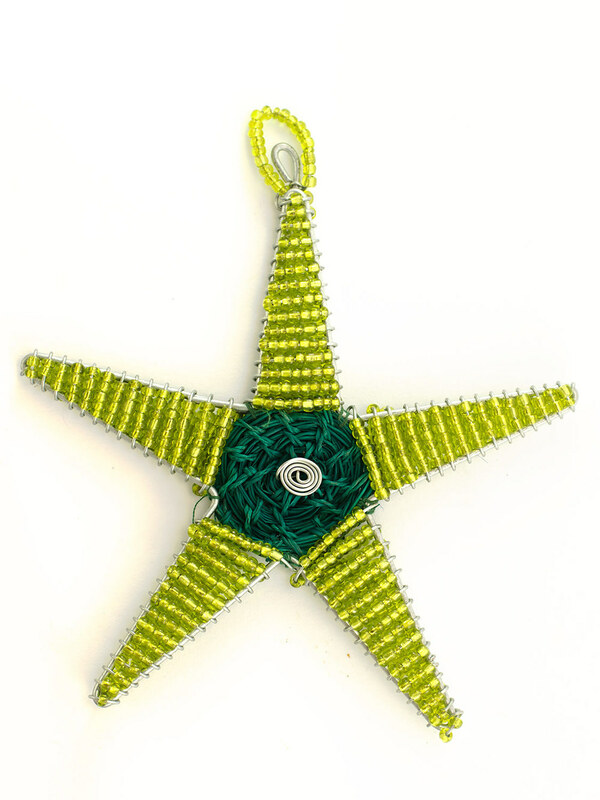 Grass Beaded Star: This star's centre is a finely woven grass centre handmade by weavers in the Drakensberg region of KwaZulu Natal. 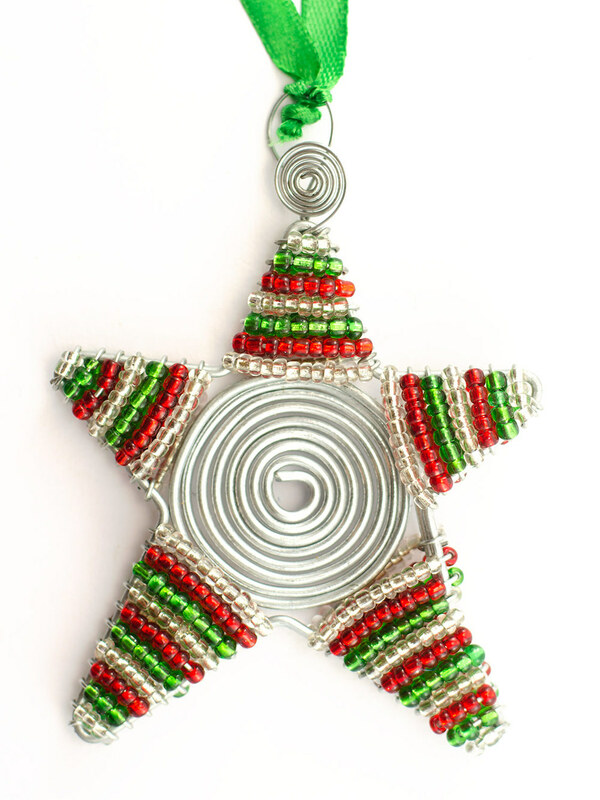 The grass disc is stitched onto the frame that is shaped by wire artisans and Zulu beaders wrap glass beads on wire around the frame to complete this starry star! 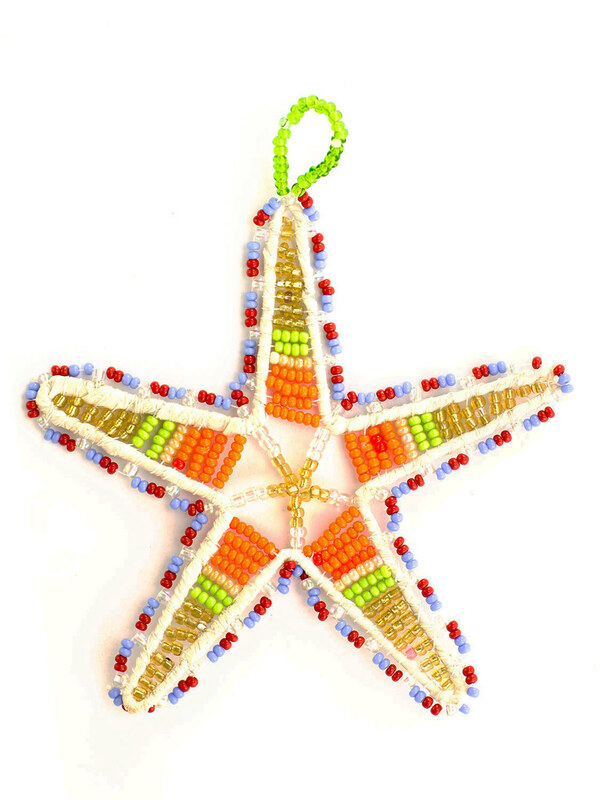 Small Beaded Star: A wire frame is handmade starting with a wire spiral in the centre and then Zulu Beaders wrap glass beads on wire around the star. A variety of popular colour combinations are produced for stock. 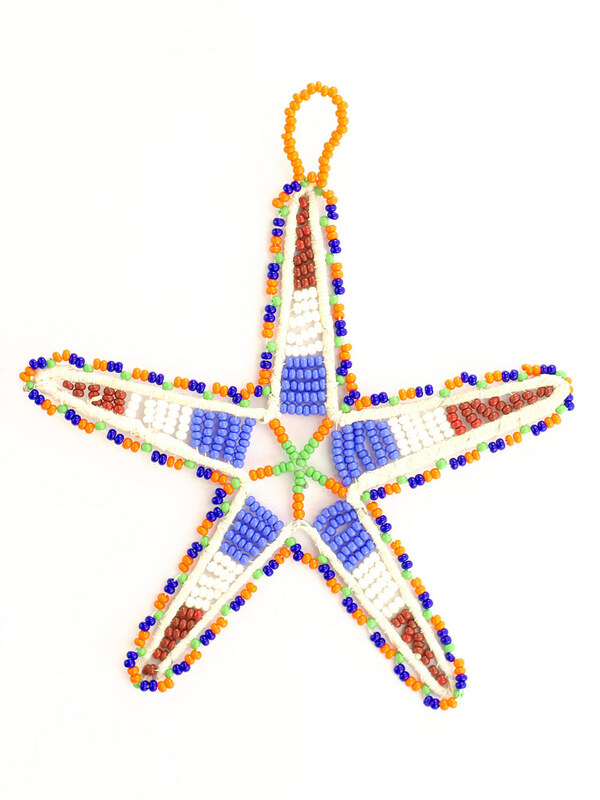 Zulu Beaded Star: Size 1 beads in Zulu colours are finely worked over a white wrapped wire frame to create these unique Zulu Beaded Stars.